Kuolemanlaakso’s founder, guitarist/keyboardist Laakso has been shooting rock stars for a decade for music magazines as well as for personal pleasure. “Gods, Heroes and Fragile Stars” is his first solo exhibition. It features live shots from clubs and festivals as well as portraits from backstages, bars, hotels and tour busses. Some of the pictures have been previously published in magazines, but many of them have never before seen the light of day. 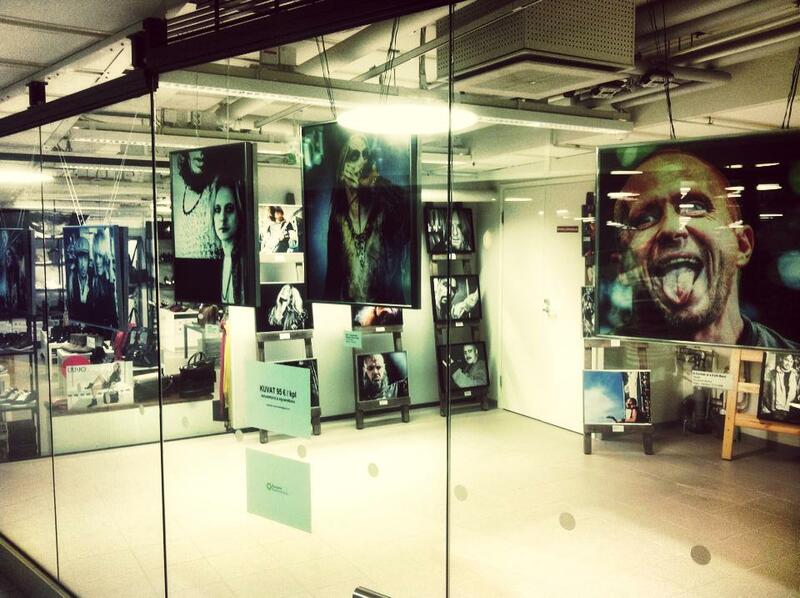 The facade of Laakso’s “Gods, Heroes and Fragile Stars” photo exhibition. Kauppakeskus Apaja, Kuopio, Finland. “Music is channeling different emotions to the listener through artistic expression. This is what I aim to achive with my pictures, too. I try to reflect the artist’s music through my photographs, as well as capture something real about his or her persona: strenght, sauciness, vulnerability. Same as in music, capturing the emotion is the key element“, states Laakso. “Gods, Heroes and Fragile Stars” features shots of KISS, Dimmu Borgir, Jeff Hanneman, Ronnie James Dio, Phil Anselmo, Triptykon, Metallica and beyond. The exhibition is held at Kauppakeskus Apaja, Kuopio, from August 19 to September 30, 2014. The pictures are available for purchase, framed and signed by Laakso. Join the Facebook event. For additional details and inquiries, email Laakso at markus.laakso(at)gmail.com. 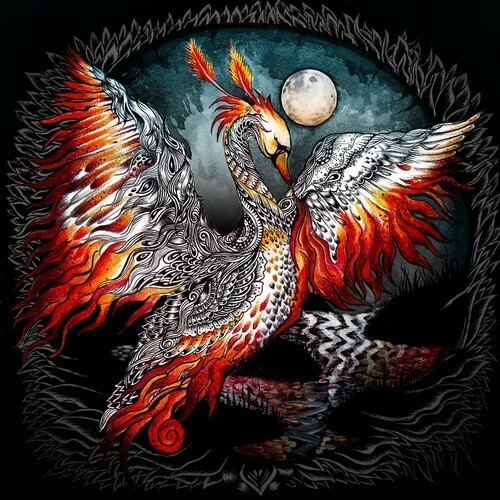 Kuopio-based Kuolemanlaakso, featuring Mikko Kotamäki of Swallow the Sun on vocals, debuted at #10 on Finland’s Official Album Chart with Tulijoutsen, the stunning follow up to their critically-acclaimed 2012 debut, Uljas uusi maailma, and their 2013 EP, Musta aurinko nousee. “Everybody knows that Finland is a metal country, but it’s still uncommon for a death doom band with seven minute epics to reach the top ten. This proves that not all hope is lost, and people still have good taste in music,” states guitarist-keyboardist Laakso. With Tulijoutsen (“The Fire Swan”), Kuolemanlaakso continues to create its trademark walls of heavy, down tuned guitars and extreme string-bending, while setting out to explore new, more melodic dimensions. 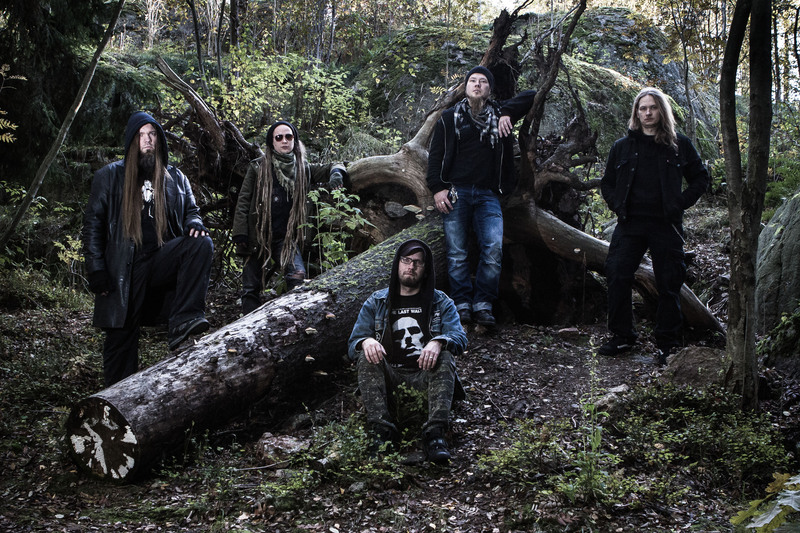 As with previous efforts, all the elements were forged into their final form by renowned producer-guitarist V. Santura (Triptykon, Dark Fortress, Noneuclid, Woodshed Studios), who also guests on the album. Soundi will be streaming Kuolemanlaakso’s critically-acclaimed “Musta aurinko nousee” EP ahead of its November 29th release. Contained in this release is a cover of Juice Leskinen’s “Musta aurinko nousee”. For the stream, please visit this link. Kuuntele Kuolemanlaakson “Musta aurinko nousee” EP ennakkoon Soundin verkkosivuilta. Pikkulevy julkaistaan tänä perjantaina, 29.11.2013. 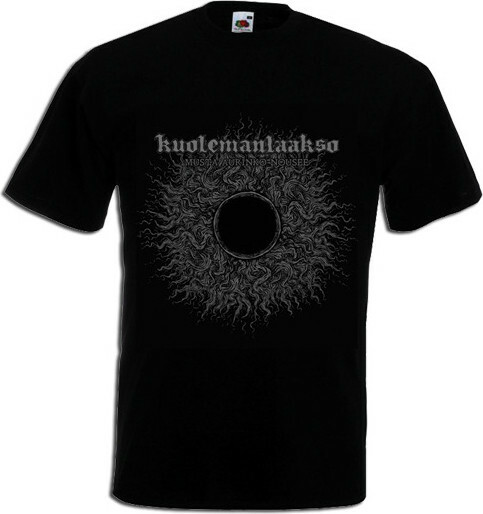 Kuolemanlaakso‘s Musta aurinko nousee EP, to be released on November 29th via Svart Records, is available for preorder. The EP includes three new Kuolemanlaakso songs, and a captivating cover version of Juice Leskinen’s classic by the same name.